Bring the charm of rural France to your home with the Bourbon French Country Chairside Table by Sunny Designs. 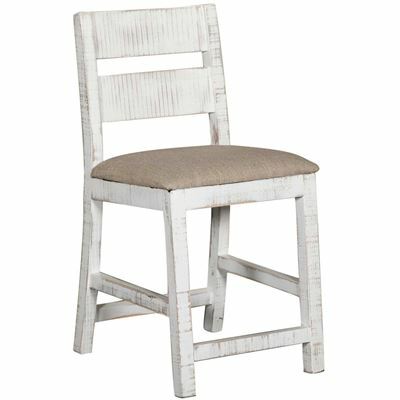 The combination of a planked, distressed, hand-rubbed antiqued white base and a planked, distressed, bourbon-brown top coordinate with metal corner accents to create a look that embodies country appeal. This chairside table includes one cabinet and one drawer to provide plenty of convenient storage. Bourbon French Country End Table by Sunny Designs.